The League of Legends club meets every second Wednesday after school. Phot by Kelly Monaghan. 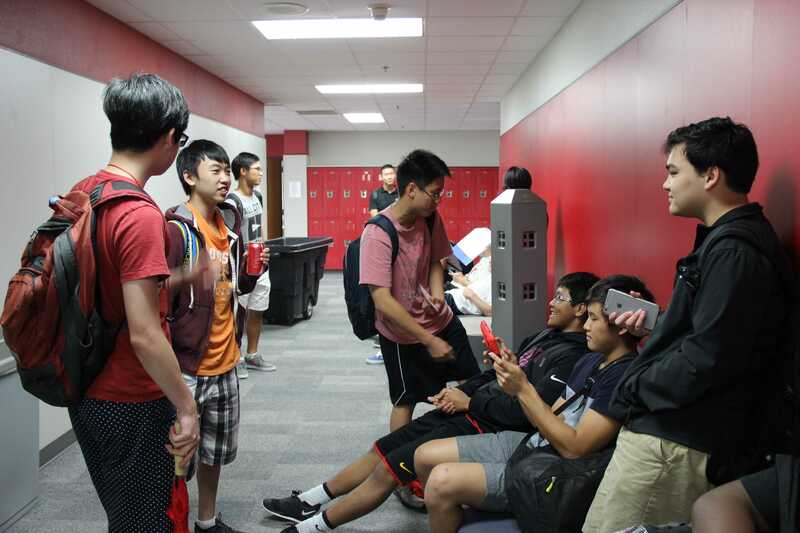 Students by day, gamers by night, the Coppell High School League of Legends club consists of gamers who spend much of their time on the trending Internet game. The idea of the club was launched last year but this year the club has developed significantly. The main goal of League of Legends is to destroy the enemy’s tower, similarly to capture the flag. There are 30 levels in the game within the five major ones: Bronze, Silver, Gold, Diamond, Platinum and Challenger, the challenger level being the highest. 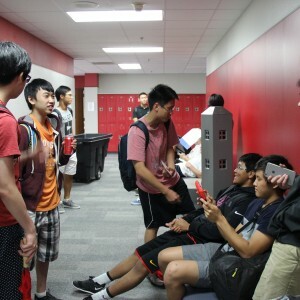 “[Senior Sungchan Na] and I founded the club so we could compete with other schools and prove that Coppell is good at everything,” senior and co-club president Young Lee said. Na and Lee are both co-presidents of the League of Legends club and spread the word about the popular game. The League of Legends club meets every second Wednesday after school. Photo by Kelly Monaghan. Based on their skills and strategies, the students will be placed on to a certain team by Lee and Na. Tryouts are currently being held to figure out which members will be playing on the high school’s league. Pre-Calculus teacher James Behlen is the sponsor of the club and uses his knowledge of gaming to help and guide the members. Behlen has been playing League of Legends since the game was released in 2009. The club could win $35,000 in scholarships if they win the high school league competition against other schools. The club will consistently play in the competition until they make the top eight teams are decided and they will play face to face. After trying out, Park is on the A team and continues to strive to get to the next level in the game. Although the game is blocked at school, members record their games and talk about it during their meetings. There are 70 members in the club currently and meetings are held in Behlen’s room every second Wednesday of the month after school. Members can decide to tryout if they want to get on a higher team.